Time to pony up!!! 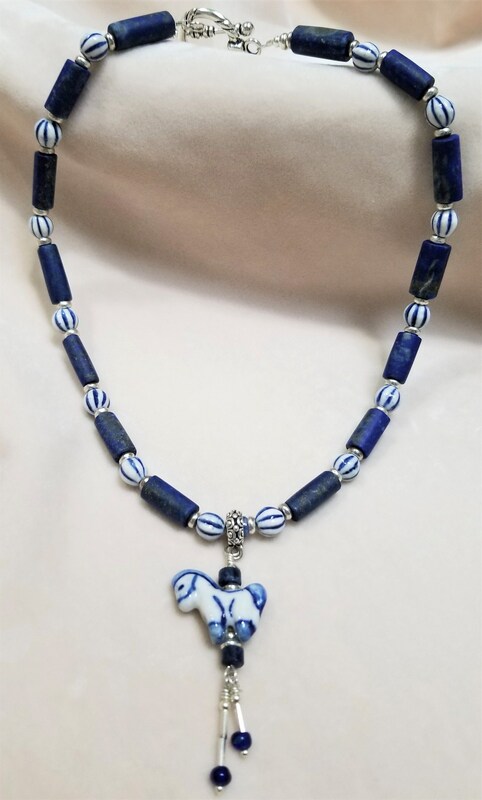 This is just the cutest porcelain pony on a blue lapis necklace interspersed with fun striped porcelain beads. 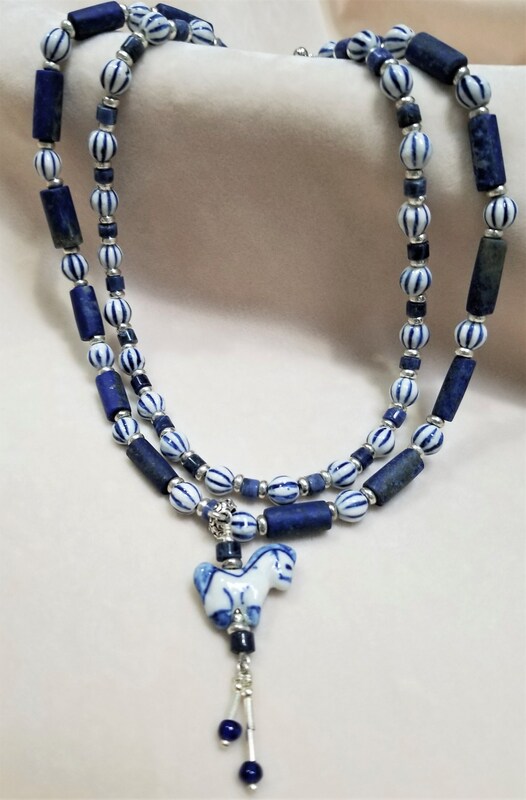 All makes for a unique and attention-getting necklace. 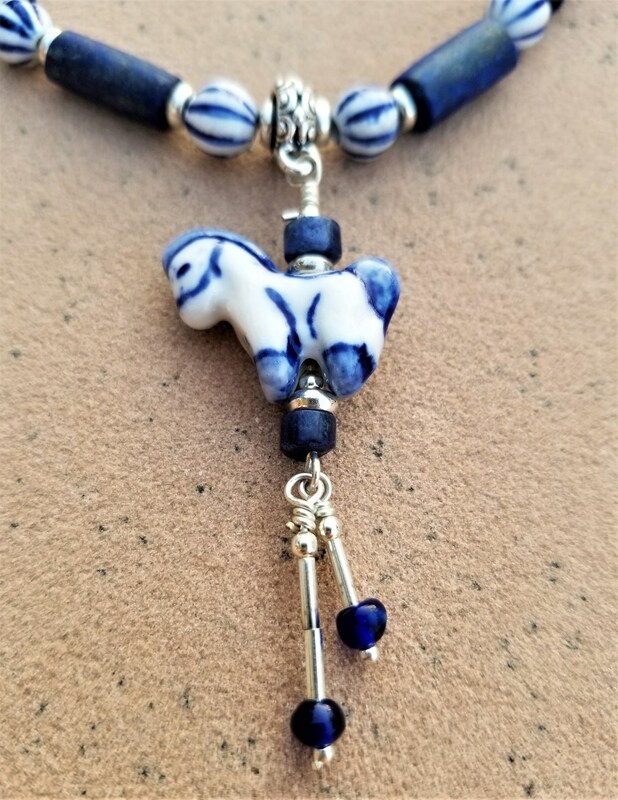 The lapis is well textured and a lovely rich blue. There's a second choker available that is slightly smaller and looks fantastic as a set when worn together. I included a couple of pictures showing them together. Also there is a great bracelet that matches both necklaces. If you're looking for a terrific set, this is it.